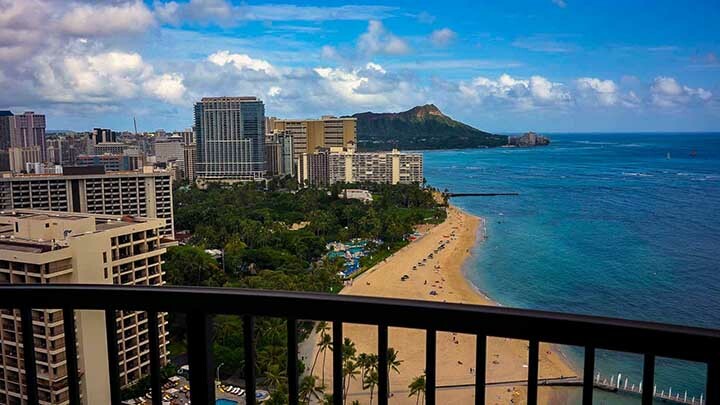 Make your trip to the Aloha State less stressful with a Hawaii travel checklist. Making a Hawaii travel checklist could go a long way in any trip to the Aloha State. Such a list can make the entire process more enjoyable. It’ll prevent unnecessary stress and help you enjoy all that Hawaii has to offer. As with any travel checklist, the most basic necessities are the most important. Of course, the basics can vary depending on your travel destination. The important thing in your Hawaii travel checklist is that most activities require nothing more than t-shirts and shorts. So pack a lot of casual clothes as well as appropriate footwear. For both, men and women, the most useful top will be t-shirts. Try to keep the colors light and the designs lively. This is because they will help you keep cool and blend in with the Aloha spirit. If you plan on more formal activities, then we recommend collared shirts for men and a semi-dressy top or dress for women. Most restaurants will not turn away guests for wearing t-shirt and shorts, but many higher end places require more formality. For most places, for men as well as for women, shorts are the preferred thing to wear in Hawaii. Ideally, you should have at least two sets of swimwear. You will spend a lot of time at the beach and always having a dry set can come in handy. Although it’s usually not necessary, having a sweater or light jacket for the flight over can be helpful. Ideally, jackets should be water-resistant so that you can use it during rainy days. Depending on the activity, you may be just fine with a pair of sandals or rubber slippers. Actually when not working, most people in Hawaii do not wear shoes. There’s a good reason for this. So definitely add slippers or sandals to your Hawaii travel checklist. But you will need something more robust on hikes. Closed-toe hiking sandals could be very versatile in this regard. But if the hike is rocky or muddy, better to bring some water-resistant hiking shoes. Some activities will require long pants so having a light-weight pair can be a good idea. Travelers come to Hawaii for the sun and surf. So it will be important to keep your eyes safe and healthy. Bring a pair of sunglasses (ideally polarized) since you will be spending a lot of time outdoors. This should go without saying, sunscreen should definitely be part of your basic Hawaii travel checklist. Outdoor activities will keep you in the sun for a good portion of the day. So to protect your head and prevent heat stroke, having a comfortable hat is important. Aside from keeping you cool, a hat or visor will give your eyes additional protection. 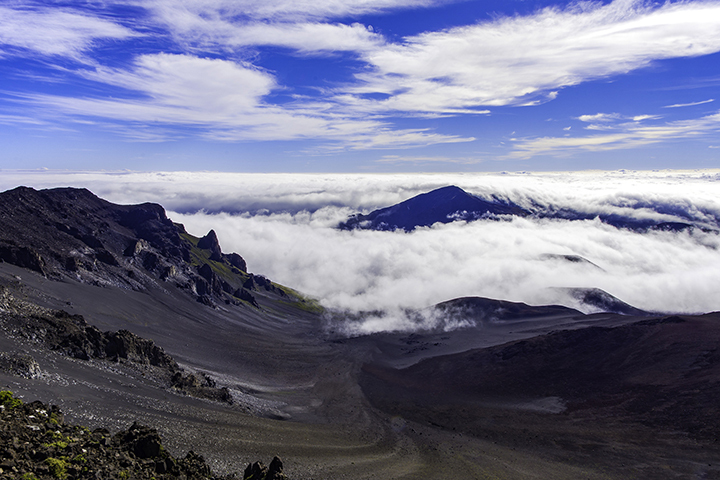 View from the 10,000 foot summit of Haleakala. Let’s see what else can be handy for travelers doing more than just the beach and walking around. Hawaii has a lot of mosquitoes. So if you plan to hike, mosquito repellent can definitely help you feel more comfortable. Your hands will be free for taking photographs, instead of swatting mosquitoes. If you do get bitten, you’ll be glad to have anti-itch cream to provide relief from itching. If your plans include hiking and exploring, you wear something more than just a open-toe hiking sandal. Having such foot protection will also allow you do other activities, such as exploring on an ATV. Water-resistant hiking shoes are preferable as many hiking trails in Hawaii are muddy or damp. Plus, you might have to cross some shallow streams. Keeping your foot dry, as much as possible, is always a good thing. High cut hiking shoes are also good for additional ankle support on rocks or uneven surfaces. You will most likely have your smartphone with you. It can often provide with you a fairly decent camera for taking snapshots. But if you want to take better shots, then don’t forget to pack more robust photography gear. Keep in mind that a weather resistant camera is recommended. This is because your camera can get get wet on some adventures. This is a handy accessory for hiking and exploring. This would be particularly true if you plan on tackling an uphill or downhill trail. There are collapsible hiking poles that make packing easy and painless. This is something you can easily overlook. A backpack will help you carry around some of the items you will be bringing along. This can include a first aid kit, camera gear, water or food. There are some activities taking you outside of comfortable weather. These are places like high elevation destinations. Examples include Maui’s Haleakala summit or the Big Island’s Mauna Kea and Mauna Loa volcanoes. So if your plans include such trips, you should definitely pack a set of warm clothes. Planning to spend a lot of time on the water? If so, having rash guard apparel or a floating waterproof bag (for your valuables such as wallet and car keys) can be extremely handy.